Easybook aims to help you make your travelling plans as less complicated. Remember the times when you have to sit through the traffic jam just to queue up to purchase bus tickets at the counter? Those days are gone, now that you have Easybook to book your bus ticket online wherever and whenever you desire. Just like shopping online, you can also get your transportation tickets online conveniently at Easybook, kick start your travel plans right away. 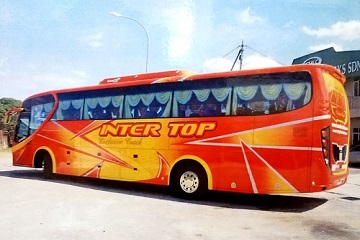 There are numerous bus companies available on Easybook and if you are travelling within the northern part of Malaysia, Kejora Masyhur Sdn Bhd or simply known as Kejora Express is one of your best options by booking through these simple booking guide. Established in 1995, Kejora’s motto is “Your Safety and Comfort is our Priority,” so you can be assured that they provide the best services. From a strong team of staff members to well-trained and experienced drivers in order for travellers to have reliable journeys with Kejora Express. 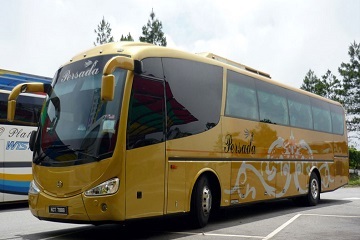 In their 30 and 44 seater vehicles, you will find that the air-conditioned buses are equipped with free Wi-Fi and LED television with Astro channels to keep you occupied. Below some of the trips available when you choose to travel with Kejora Masyhur bus. The Kejora buses are installed with GPS systems as security purposes so travellers can arrive safely at their destination. Type in the search bar to find out more about the schedule times and prices of your preferred trips on our website or you can also download Easybook mobile app for free to your devices. Kejora Masyhur bus is ready take you whether you want to try out the chicken rice ball in Melaka or the infamous satays in Kajang with the numerous routes they provide. 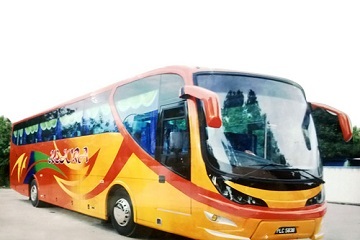 As a bus company that has been serving travellers throughout Peninsular Malaysia since 1995, Kejora Masyhur continues to stay relevant within the transportation industry to provide you with the best rides to your destination. If you want to travel economically within Malaysia, bus is the way to go. Book your bus tickets with us here on Easybook’s website to ease the travelling process to start creating memories with us and Kejora today!